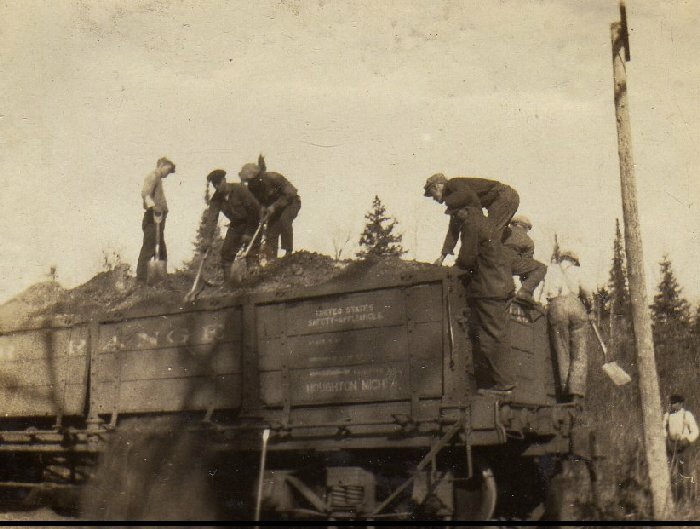 A few nice photos of a Copper Range section gang unloading one of their side discharge gons (either 1131, 1132 or 1133 is my guess). Most likely flling in one of many timber trestles along the line. I met Vince a few months ago to look over this collection of Copper Range photos and scanned a few of them for your enjoyment. 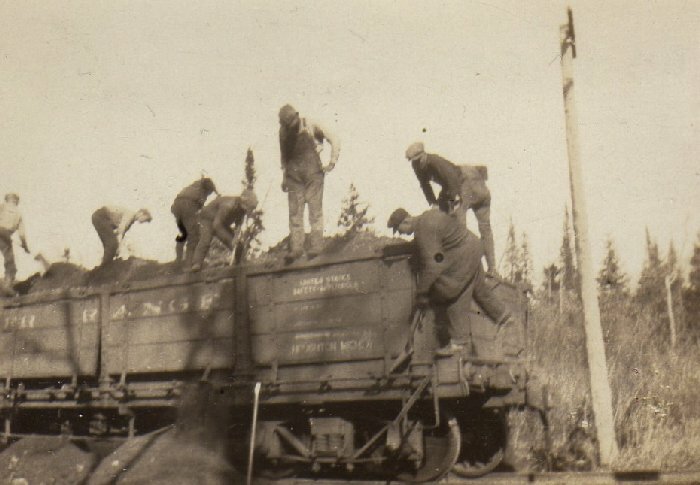 In addtion to collecting Keweenaw railroad photos Vince is also an artist who has been focusing on railroads and mining of the Keweenaw region. Stop by his site and pick up one for yourself at ArtByVincent.com. Thanks for sharing the photos with all of us Vince. (Vince Fontana Collection).